We bring you some of the world’s most accomplished voice over talents to help streamline the production of your organizations online narration. 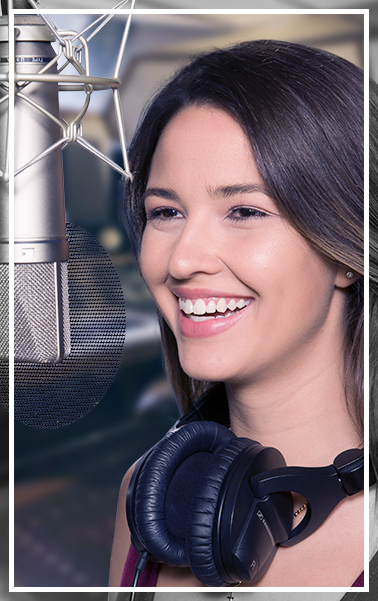 You retain complete creative control over the entire voiceover narration process; as our audio specialists, fine tune your project to your exact requirements. No matter how small or extensive your online narration and voiceover requirements may be, you can count on our voice over and audio production specialists to deliver. We have spent over a decade speaking on thousands of topics, for just about any type of audience you can imagine. We know how an “amazing” voice over can make your video, product, application or presentation really come to life and be heard at its best. If you need a voice – why not make it an amazing voice! You can choose from a diverse roster of expert voices that are sure to enhance your presentation. Add a touch of flair to your video. Put the professional polish on your Product Demo…and so much more. We offer voice overs in most international languages. So no matter who or where your target market, we can make sure they hear you loud and clear. Top-notch voices to help you convey your message the way you intended it.